Our inaugural Storytelling Event was hosted at the beautiful Ebell of Los Angeles. 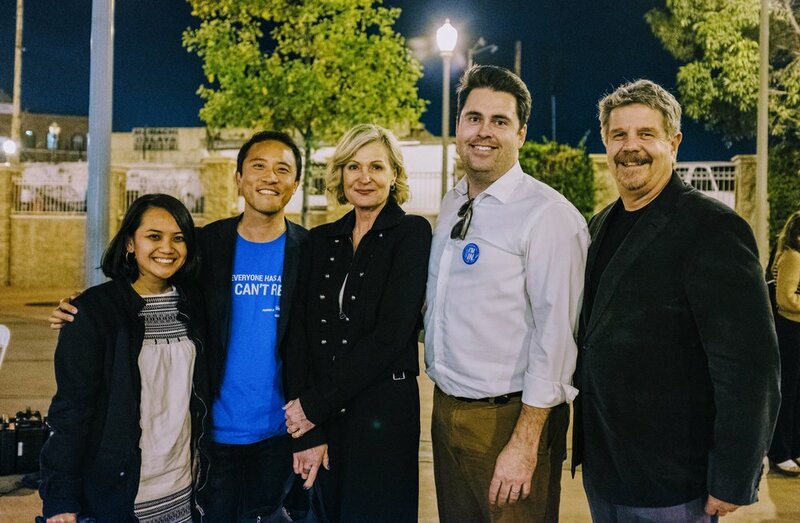 Guest speakers included Amy Wakeland Garcetti, Councilperson David Ryu and Tommy Newman of United Way’s Everyone In campaign. 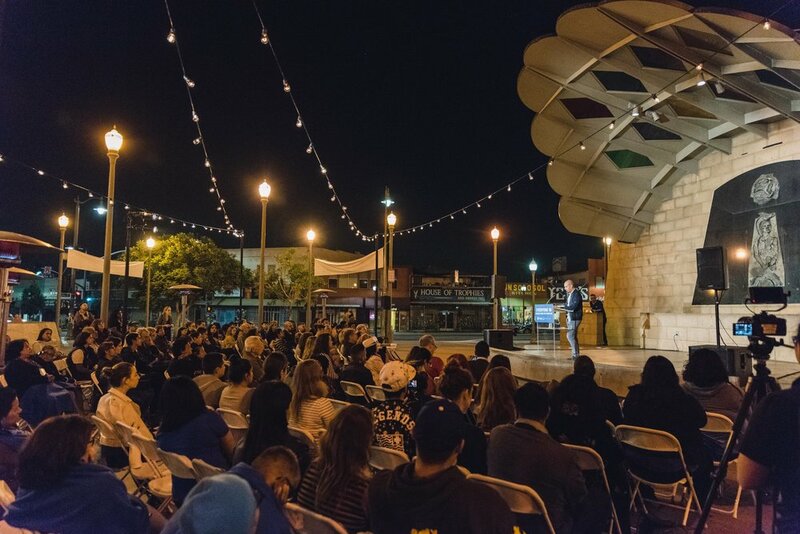 The event featured CSH Speak Up!, Imagine LA and Safe Parking LA organizations. Deborah De Santis, President and CEO of CSH pictured with Speak Up! Advocate Tan before the show. The Brig in Venice hosted our event in partnership with the United Way’s Everyone In campaign. Choux Choux catering served a delicious Mediterranean fair dinner to 300 guests who were sure to be satisfied with the starry night sky and the incredibly moving personal stories told by formerly homeless people. City Councilperson Mike Bonin also told his powerful personal story. 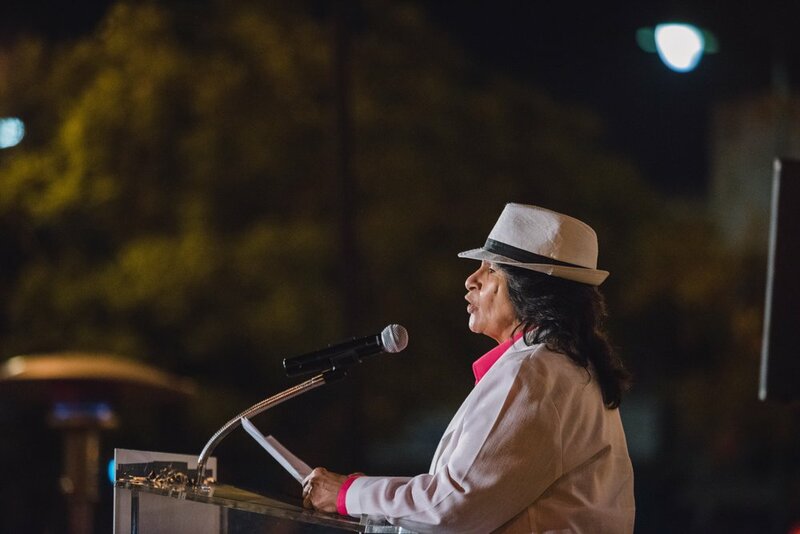 Speakers included United Way of Greater LA CEO Elise Buik and Stories founder Marilyn Wells. 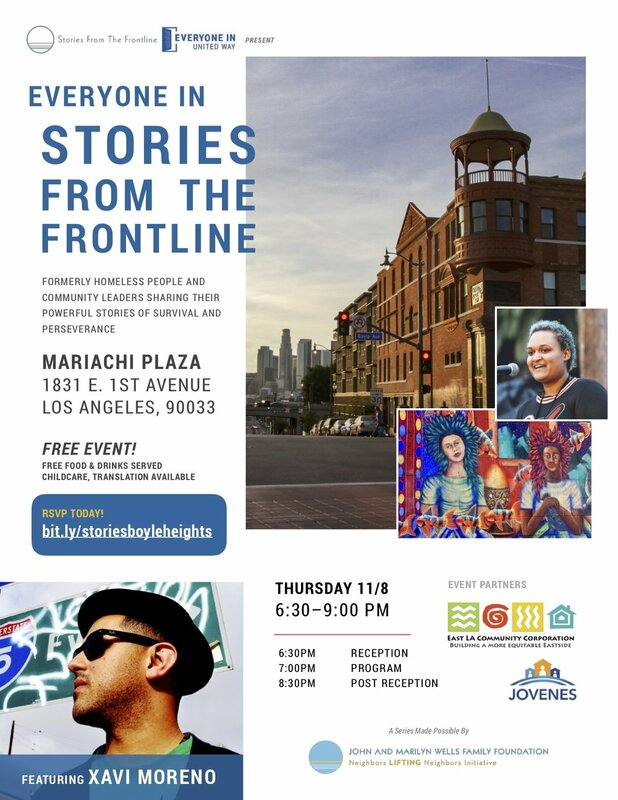 The fanciful Mariachi Plaza provided the setting for our 4th Stories From The Frontline event. City lights and sounds, unique to Boyle Heights set the stage as we relished flavorful tamales and enchiladas made by local street vendors while listening to a colorful Mariachi Band. 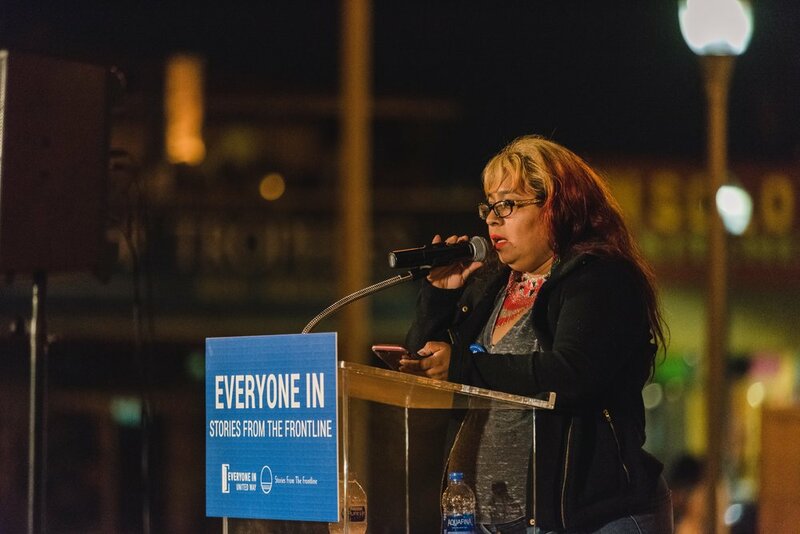 Formerly homeless people from Boyle Heights shared inspiring personal stories. Our guest speakers included Josefina Lopez, actress, restaurateur and founder/artistic director Casa1010, David Valdez and Untied Way of Greater LA CEO, Elise Buik. The beautiful Museum of Latin American Art provided the setting for our 6th Stories From The Frontline event. Frida Khalo art set the stage as we relished flavorful burgers and cheesecakes made by _ . 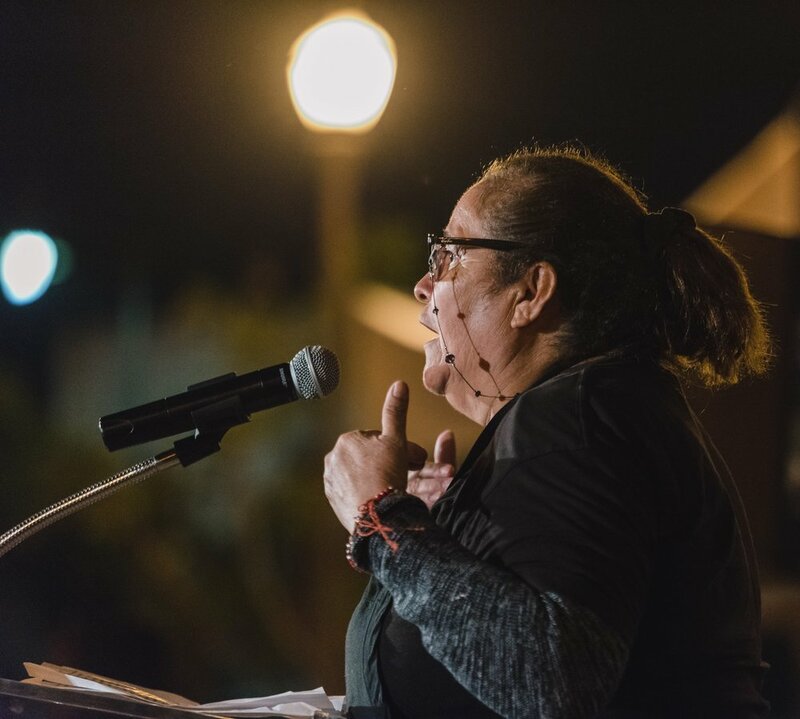 Formerly homeless people from Long Beach shared inspiring personal stories. Our guest speakers included _ , _ and Untied Way of Greater LA CEO, Elise Buik.